Did you know that John McClane from Die Hard had a purple vest with “fiddle my nips” written on it? And that Hans Gruber's chest hair was yellow with turquoise polka dots? 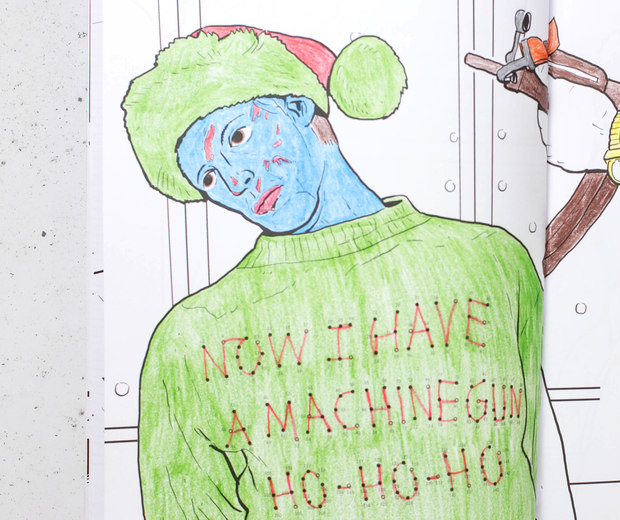 It's true, but if you don't believe me why not find out for yourself by purchasing Die Hard: The Official Colouring Book. 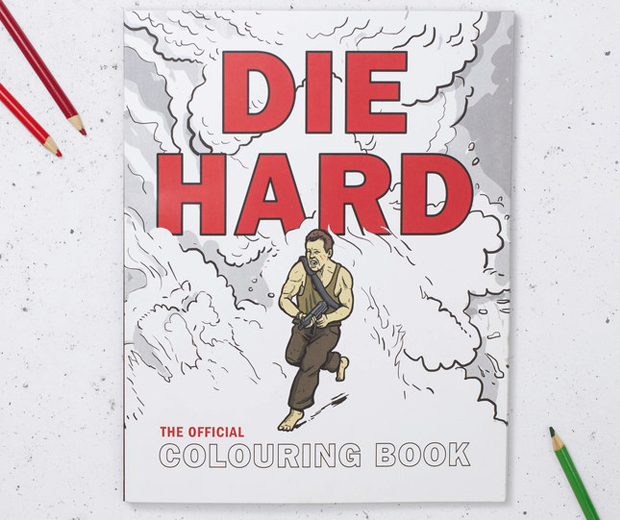 Containing at least “some” pages of stills from Die Hard outlined and ready for you to colour, this book is perfect for when you want to wind down and do a bit of art without really having to think. You can even go outside the lines if you want. Who's gonna stop you? ISIS? Probably not.